sd00:28A view of the northernmost part of the Florida everglades. 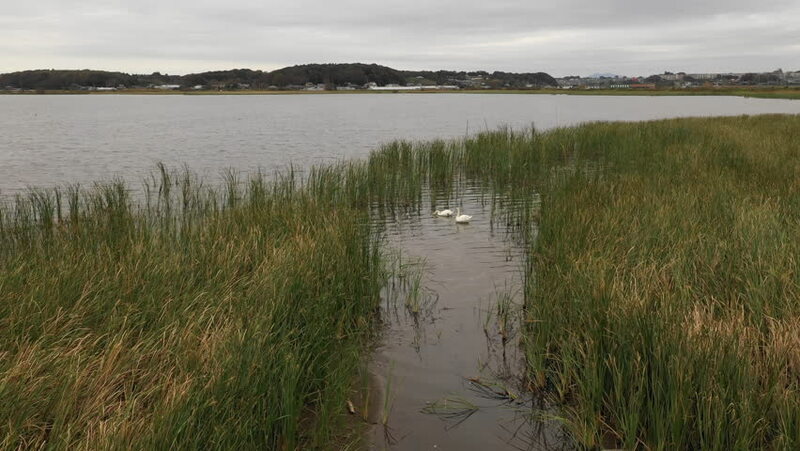 4k00:13Swans at Lake Teganuma marshland during a cloudy overcast day. hd00:26Confluence of two huge rivers in misty sunset light, with little boat. Trees are swaying in the wind.